I have been testing Windows 10 under the Windows Insider Program for several months using an old Dell Precision Core 2 Extreme computer (with NVidia graphics card) that was retired from engineering service a couple of years ago. 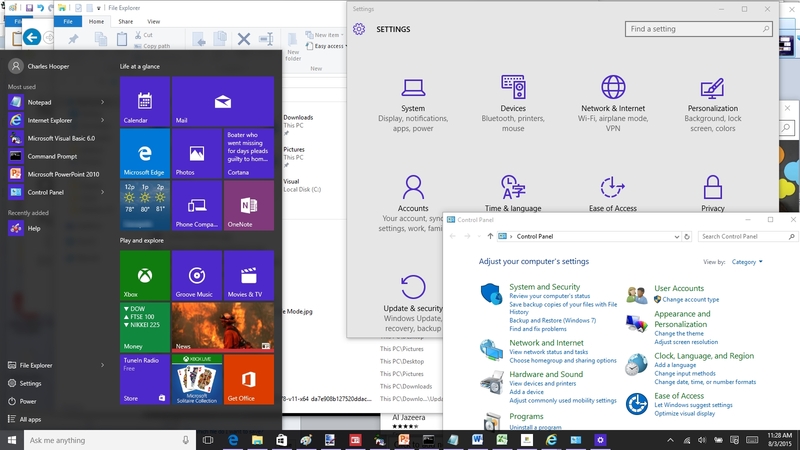 I had some issues upgrading from one preview version to the next, such as the new Start menu failing to display – forcing a format and reinstall of the operating system. One version that automatically installed over the top of build 10074 caused the computer to continuously reboot. Odd, I thought, that a Windows update could cause that problem. I traced that issue back to disabling data execution protection (DEP) several years earlier on the engineering computer to keep some of the software from spontaneously crashing – turning DEP back on in the BIOS immediately resolved the reboot loop. I was still seeing occasional Start menu display glitches a week or so before the official release date for Windows 10 (July 29, 2015), but those problems were diminished with the application of Windows updates as the official release date neared. Quick note on August 12, 2015: I came across an article on Spiceworks that lead me down an interesting path since I am fighting driver issues on a Sony Vaio laptop. In short, if you have a Sony computer, don’t expect Windows 10 compatible drivers for a while. How long? October or November 2015. “In a message to Sony laptop owners, the firm has pleaded for patience when it comes to installing the new operating system (OS) due to the real risk of software or driver corruption that could result in a catastrophic data loss. A couple of years ago I bought a Sony SVE14AE13L (SVE14A27CXH) touch screen laptop as an incentive to learn how to use and troubleshoot Windows 8. With a Core i7 processor and 8GB of memory, I anticipated having an easy time working through Windows 8, and after watching several hours of how-to videos I was reasonably comfortable with Windows 8 – for someone who has worked with computers since the early 1980s it was a bit of a struggle, but not as bad as some people claimed (I also thought that Windows Vista was reasonably good before the release of Windows 7). 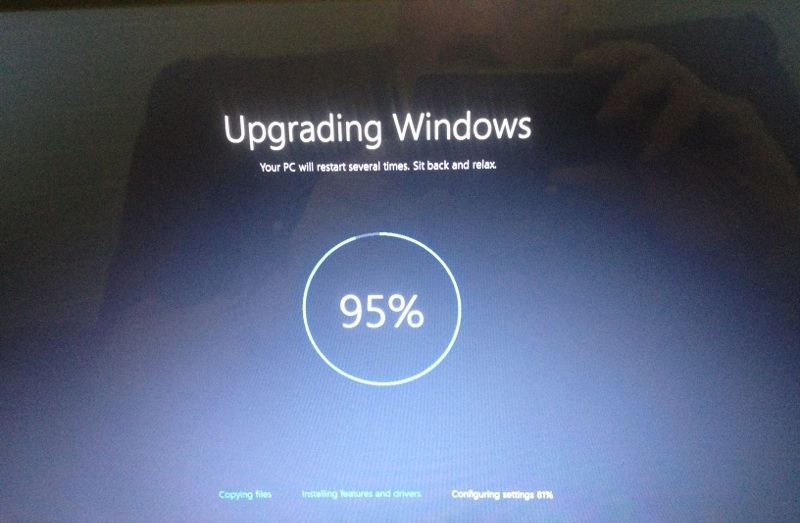 That said, this computer was updated to Windows 8.1 on the day that the new version became available. This Sony laptop computer, however, had a couple of annoying behaviors. It would randomly wake up in the middle of the night, the touchpad would occasionally stop working, Internet Explorer on the computer was occasionally slow, and the touchpad would send random zoom in/out messages to the current application. Windows 8.1 worked reasonably well on the Sony laptop, but I went ahead and reserved a copy of Windows 10 for the computer to get some experience with the release version of Windows 10. 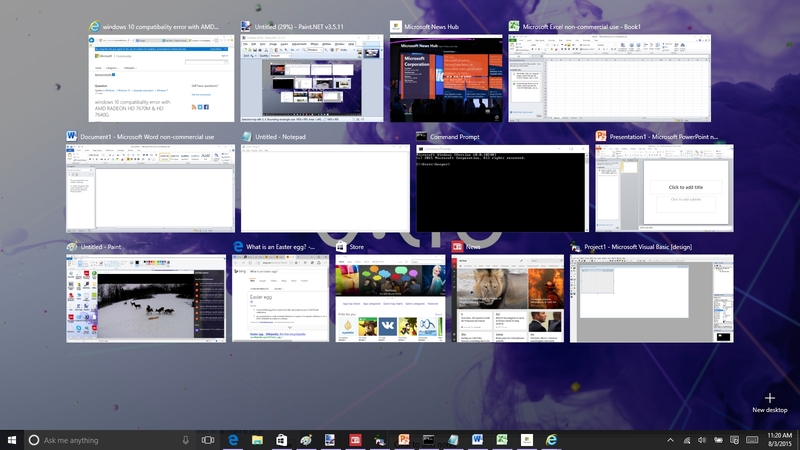 The first 48 hours of Windows 10 began this past Saturday. I grew tired of waiting for Microsoft to tell me that my copy of Windows 10 was available for installation, so I opened a Windows command line and executed this command: wuauclt.exe /updatenow – that seemed to kick start the upgrade, but it failed to install once roughly 3.5GB of installer files were downloaded. Another search of the Internet indicated that I should have first deleted everything in the C:\Windows\SoftwareDistribution\Download folder. After downloading another 3.5GB copy of the Windows 10 installer, I found that this attempt also failed after I clicked the Continue (or whatever that button showed) button in the Windows Update window. 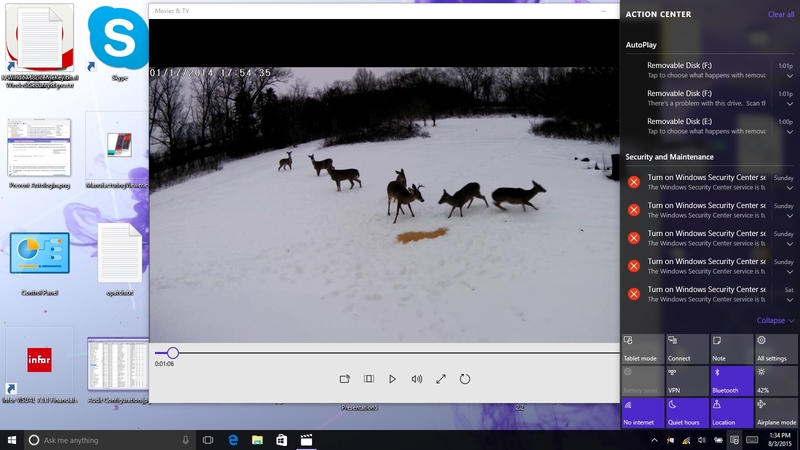 I started wondering what I was doing wrong, so I downloaded the ISO DVD image for Windows 10 from Microsoft. Progress – writing the ISO DVD image to a DVD permitted the Windows 10 installer to start with a simple double-click. Five or six hours in now, roughly 10.5GB downloaded from the Internet (I sure am happy that I no longer have the Internet connection with the 6GB monthly limit), and the Windows 10 installer is showing a message “Your PC will restart several times. Sit back and relax.” Don’t worry, be happy (click the picture for a larger view). 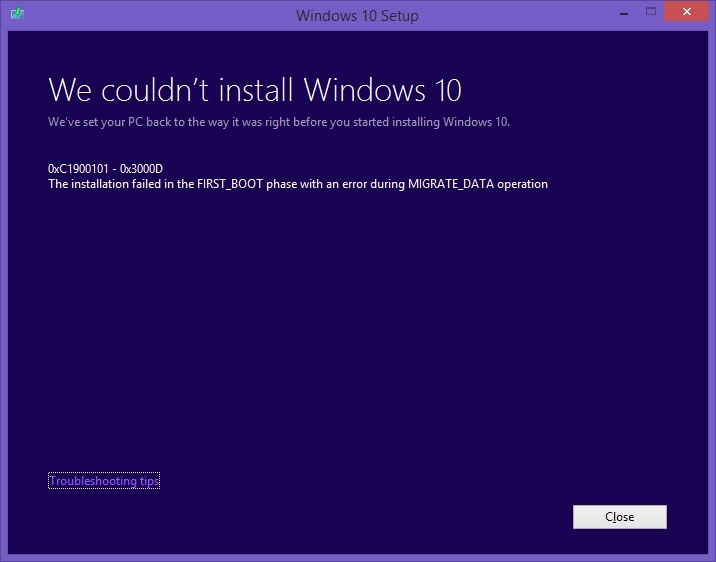 The install completed… with an error message, “The installation failed in the FIRST_BOOT phase with an error during MIGRATE_DATA operation.” Fantastic, at least the installer brought back the previous Windows 8.1 (click the picture for a larger view). That sure is an obscure error message. Google searches seemed to indicate that the problem could be caused by a corrupt profile, or a half dozen other issues. I made another attempt at the upgrade, this time telling the installer NOT to install any Windows updates during the initial install. Perhaps eight or nine hours in, success – the Windows 10 Pro logon window is a keyboard tap away (note that the picture below was taken the following day). E-Moe-Gee! (emoji). Sure, collect your error info and restart. Recalling the message from the earlier picture: “Your PC will restart several times. Sit back and relax.” And thus started an automatic reboot loop, sometimes lasting just long enough to log into Windows 10 and display the Device Manager. In this case, that INTERNAL_POWER_ERROR message means that Windows 10 does not like the AMD Radeon HD 7600M series graphics card. Congratulations Microsoft and AMD, I have not had this level of difficulty with video card drivers since 1999 when I set up a triple boot on a computer with the latest NVidia graphics card, booting into Windows 98 (drivers easy to find), Windows NT 4.0 (a little more challenging), and Red Hat Linux with the Gnome X-Window desktop (on par with Windows 10 on this Sony laptop). A couple of tips at this point. Pressing F8 during the initial Windows boot apparently does not display the old Windows 95 style boot menu that allows the computer to start in Safe Mode with limited functionality. 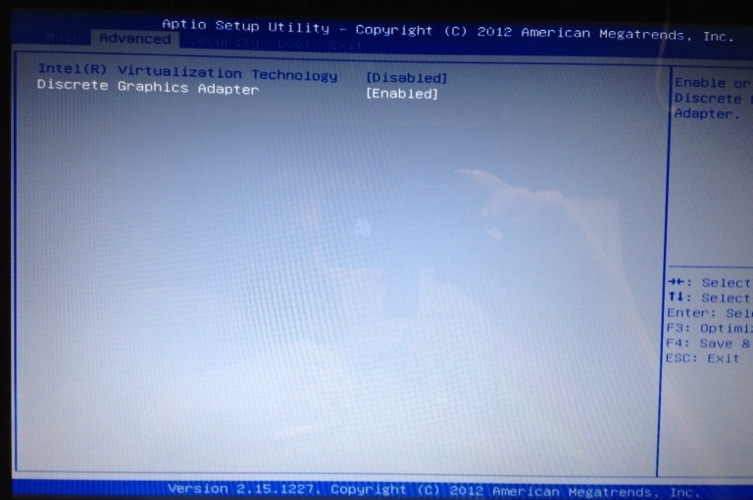 If the computer is able to boot to the logon screen, there is a power button at the bottom-right of that screen. Hold down the Shift key on the keyboard, click the power button, and select Restart – if you continue to hold down the Shift key, you will have the option to Troubleshoot the computer. If you select Troubleshoot, then Advanced options, then Startup Settings, you will be able to select to start the computer in Safe Mode. Shutting off the computer when it is booting into Windows will often result in the next boot attempt taking the computer to the screen that allows selecting Troubleshoot, and eventually the option to start in Safe Mode. Once in Windows 10, holding the Windows flag key and pressing the X key on the keyboard has the same effect as right-clicking the Start button. A menu will appear permitting quick access to the Device Manager, Computer Management, Task Manager, and a variety of other computer administration tasks. One of the tips that I found online for dealing with the INTERNAL_POWER_ERROR message was to quickly navigate to the Device Manager, and delete the Windows installed AMD Radeon HD 7600M item under the Display adapters heading. I tried that without success, and even tried deleting the Intel HD Graphics 4000 item under the Display adapters heading without success. Instructing Windows to scan for new devices resulted in two “Microsoft Basic Display Adapter” items being added under the Display adapters heading, leading to another blue screen after a couple of minutes. Booting the computer to Safe Mode with Networking to do some troubleshooting, Windows 10 was stable. A web search using a different computer suggested that I needed to download the latest video card drivers for the AMD video card to fix the blue screen. 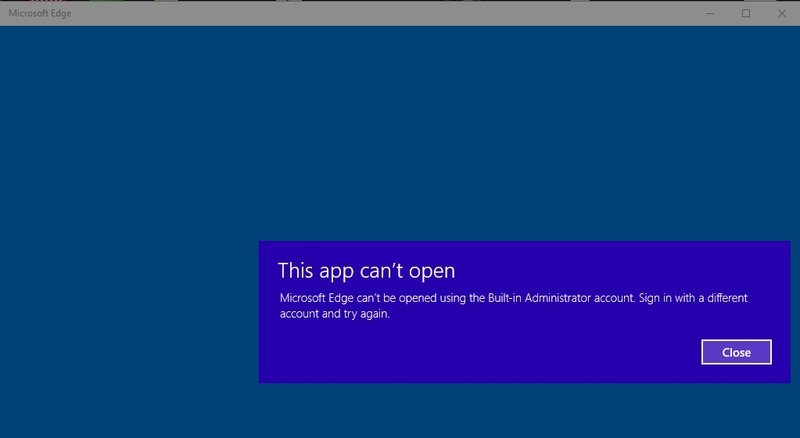 I found that the new Edge web browser, which is the new default web browser on Windows 10, cannot start in Safe Mode, resulting in a message stating “This app can’t open. Microsoft Edge can’t be opened using the Built-in Administrator account. Sign in with a different account and try again.” I was logged into the computer using my personal account, not the Built-In Administrator account, but I guess that detail did not matter. Where did Microsoft hide Internet Explorer on Windows 10? Hold down the Windows key and press R. Type iexplore.exe and press the Enter key. Now, if only the wireless network worked in Safe Mode with Network Support! Trying again with the laptop connected by Cat 5e cable to a network switch, I managed to download the correct drivers. 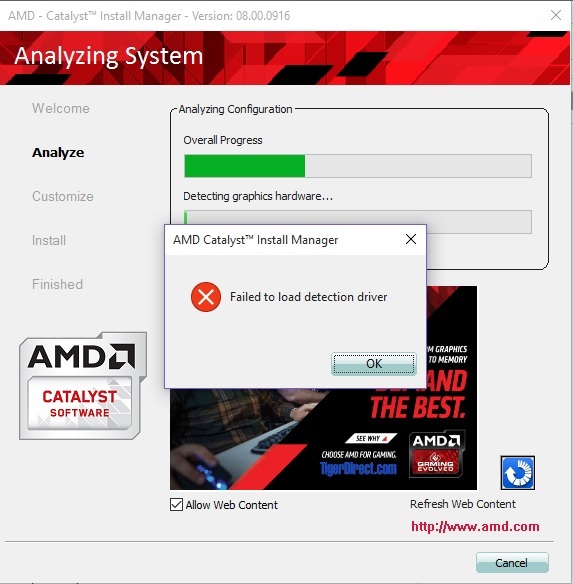 Sorry, cannot install AMD video card drivers in Safe Mode, “Failed to load detection driver.” Clicking OK caused the installer to hang at 100% complete. The previously registered Microsoft Word 2010 claimed that it could not verify that I was running an authentic version of Word 2010 while in Safe Mode, so the problem is not just with AMD when in Safe Mode. Now what? Tell the computer to try reinstalling Windows 10 without installing updates – tried that, only to be greeted with a near instantaneous frowny face (a blue screen of death) upon completion. It took roughly 10 attempts to make it into the BIOS setup on the laptop (F2 did not work at the start of the boot) – I eventually found that applying about 200 pounds of pressure to the pink Assist button while powering on the Sony laptop allowed access to the BIOS setup. I found an option titled “Discrete Graphics Adapter” that was set to Enabled, so I changed that to Disabled, saved the changes, and managed to log into a stable copy of Windows 10… about 30 to 36 hours after the first download of Windows 10 initiated. After verifying that the computer worked fine with the Discrete Graphics Adapter disabled, I re-enabled that setting and made another attempt with the AMD graphics card. 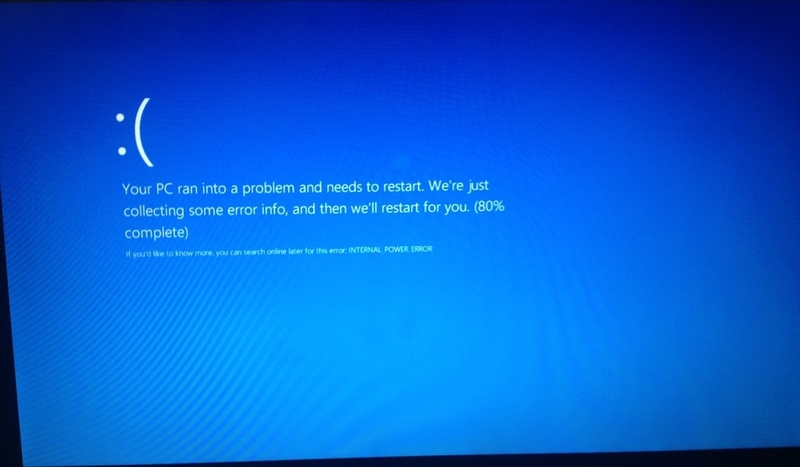 The AMD graphics drivers installed without issue in Windows 10, but again resulted in a continuous reboot blue screen loop. 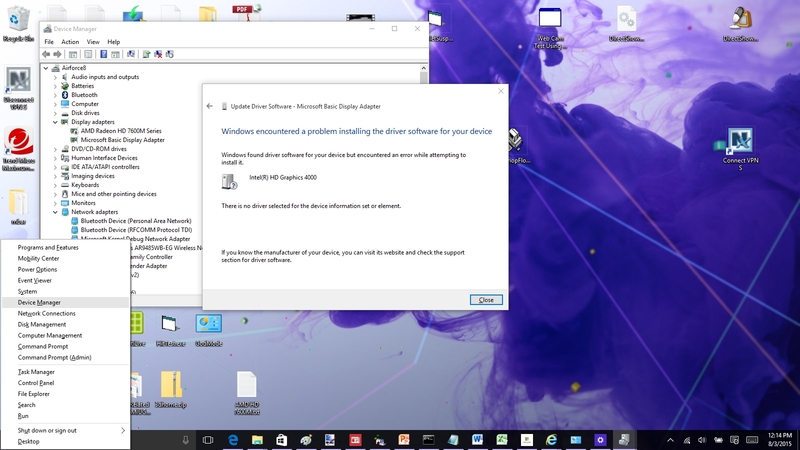 I found that by quickly navigating to Device Manager after logon, I was able to set the AMD graphics device to Disabled before the computer would blue screen – once again Windows 10 was stable (and Microsoft Word 2010 worked OK too). 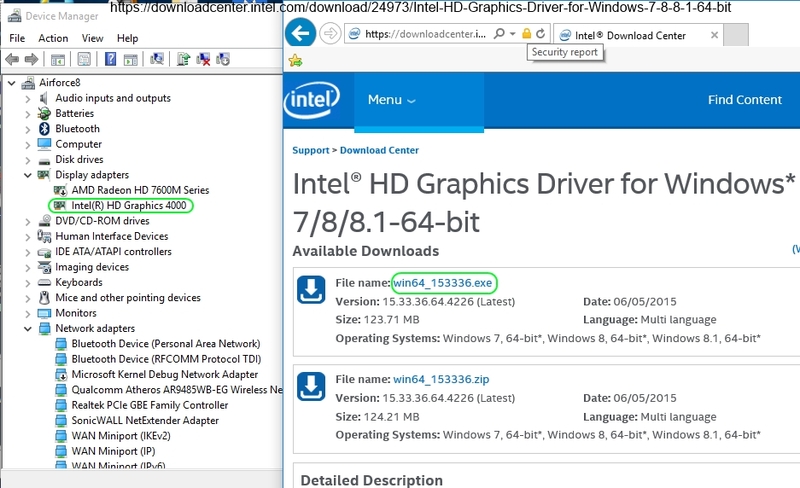 Windows 10 installed various Windows updates, but simply refused to install the video driver for the Intel HD Graphics 4000 device. As a result, Device Manager still shows a “Microsoft Basic Display Adapter” in Device Manager. Instructing Device Manager to update the drivers also failed. 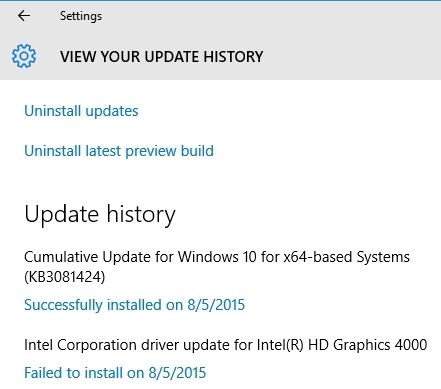 Even though the correct video card drivers are not installed, Windows 10 seems to work OK. Unfortunately, the problem where the touchpad would send random zoom in/out messages is still present – note the size of the zoomed icons in the desktop background in the following picture. 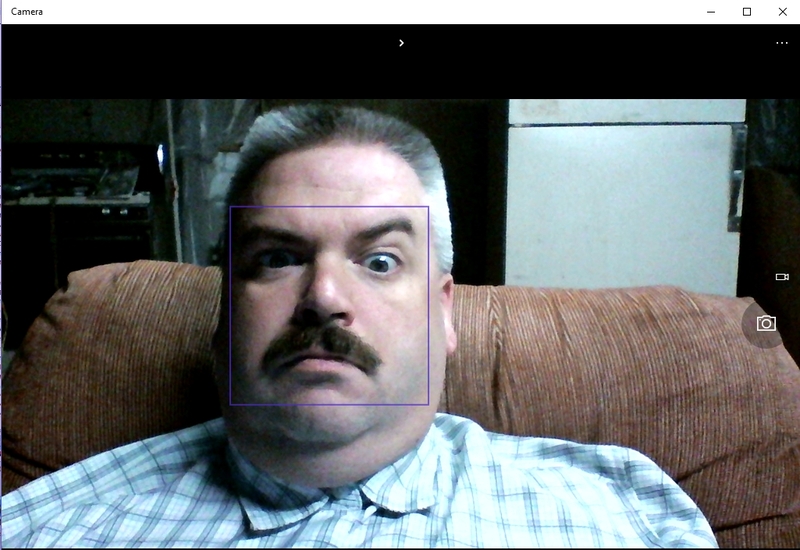 I have yet to find a logical way to send the zoom back to normal on the desktop. The right side of the below picture shows the notification Action Center that is displayed by clicking the icon near the clock at the bottom-right of the screen. 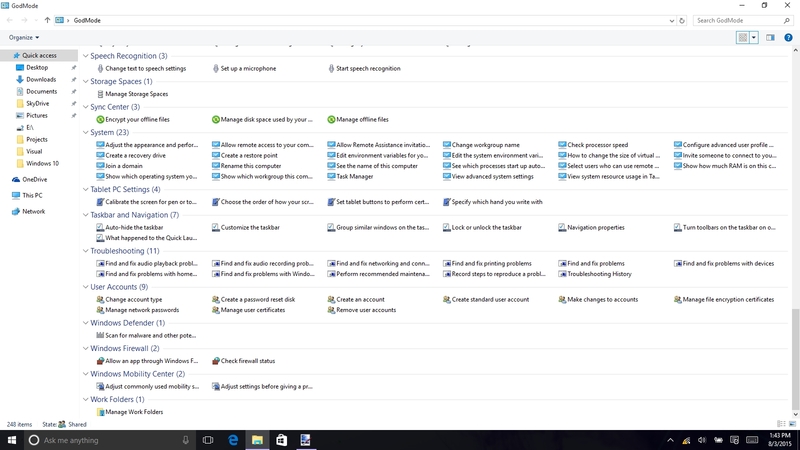 The following picture shows that the Windows 8 new style apps are now able to appear on the desktop with regular Windows applications. 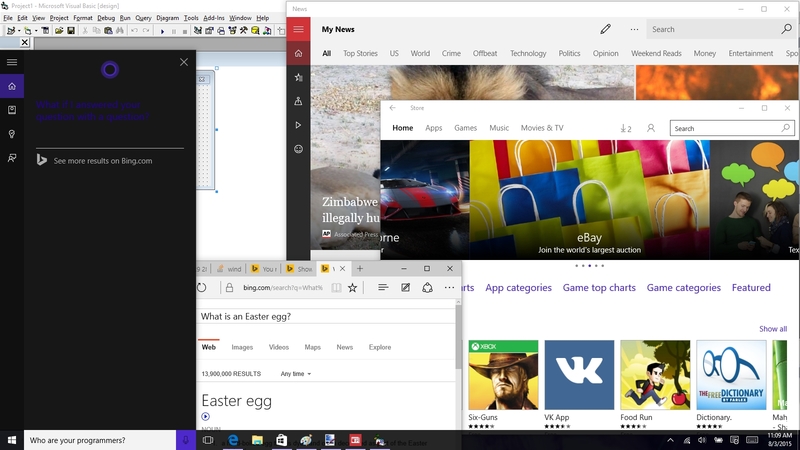 I was shocked to see that Windows 8 would not permit overlapped windows for the new style apps – I think that the original release of Windows had the same problem, even though the Commodore Amiga from the same time period (mid to late 1980s) supported windows arranged on top of other windows. Cortana is shown at the left of the window in the picture below – apparently Cortana lost an argument with the Internet shortly before this screen capture was saved (Cortana is a bit evasive when asked “who are your programmers”). 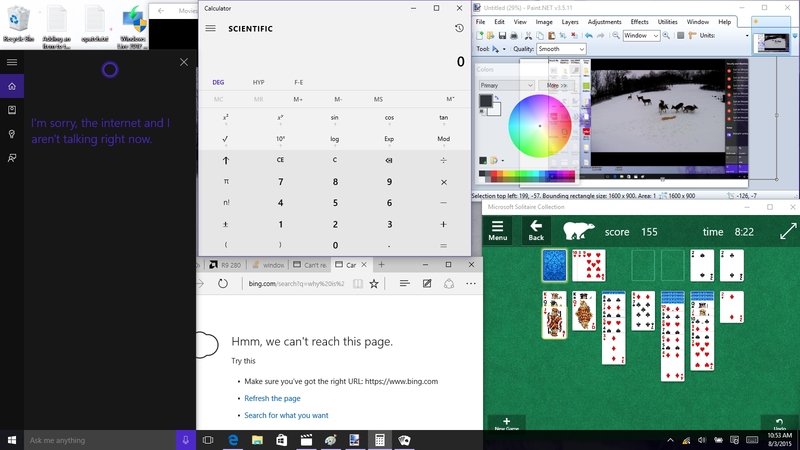 The Windows 10 scientific calculator appears at top-center, Microsoft Edge at bottom-center, Paint.Net at top-right, and the Microsoft Solitaire Collection app at the bottom right. As I stated above, overlapping Windows 8 apps are supported, and Cortana sent me to a web page about Easter Eggs – I thought that maybe that would be a good way to learn more about Cortana’s programmers. The speech input recognition seems to work very well in Cortana – as long as the Internet connection is not down. 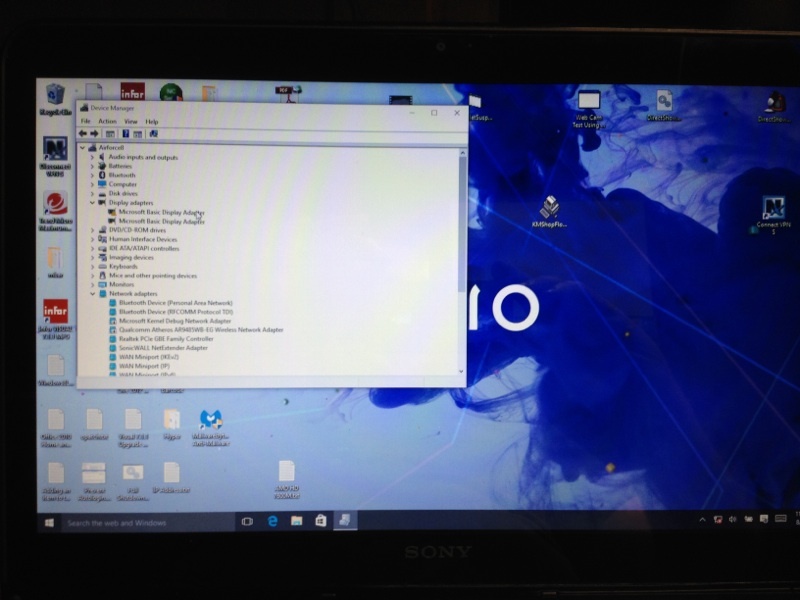 The picture below shows the new Start menu at the left – it is possible to stretch or narrow the Start menu to show more or less of the Windows 8 style live tiles on the Start menu. 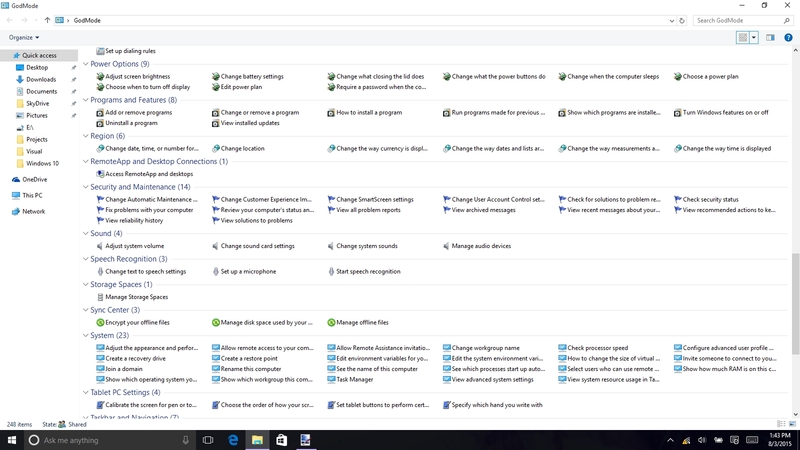 Changing settings is still a little confusing – for some settings it is necessary to click All Settings in the Action Center (the gray background window at the top-right), and in other cases it is necessary to use the Windows Vista style Control Panel (the white background window at the bottom-right). The task view trick that was introduced with Windows Vista (Windows key and Tab key) still works, but has changed for the better. The Task View may also be opened by clicking the Task View button on the task bar at the bottom of the screen. Double-clicking that folder to open it gives you just what you need (until the touchpad starts randomly sending zoom in/out messages). Oh, it appears that the Oracle Database 11.2.0.3 database instance survived all of the upgrading nonsense, although it did take an exceptionally long time to start SQL Plus. I have been working with computers for a long time – started back in the early 1980s. My new boss (almost five months now) at work for some reason thinks that I am a programmer… just a programmer? Last week I casually mentioned to him that I had read 30+ books about Oracle Database, and hinted that I co-authored another. I wonder if he has a clue about the books that I read about network administration (including a couple of CNE books in the late 1990s), operating systems, Microsoft Exchange (two for Exchange 2013, and other for previous versions), computer hardware troubleshooting, and a variety of other computer related skills. Well, at least he thinks that I am a programmer, and not just one who fixes computers (not that there is anything wrong with fixing computers, right Microsoft/Sony/AMD?). As a suggestion, before you attempt a Windows 10 upgrade on a computer with an AMD video card, ask yourself if you have 24+ hours to spare and how much you like seeing frowns on blue screens. 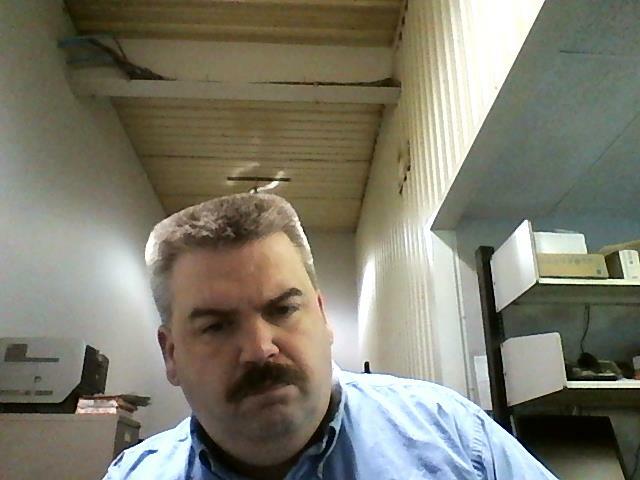 If the above is not enough of a warning, consider the before and after webcam photos captured by the Sony laptop’s webcam that follow. Humor aside, like Windows NT 4.0, once you get through the blue screens of death during the driver installs, Windows 10 will likely be rock solid stable. I am already liking it more than Windows 8.1, even if it is not as fast on the same hardware. Below is a possible fix for the random zoom in/zoom out problem if your computer has a Synaptics touchpad. This solution will probably work on Windows 8/8.1 also. Near the bottom right of the screen, click the up pointing arrow to show all of the tray program icons. There may be a tray icon named Synaptics Pointing Device that looks like a rectangle with two smaller rectangles below – click that tray icon, and then click Pointing Device Properties from the menu. Note that if you also want to turn off the potentially annoying left-clicks due to touching the touchpad with a bit too much force, click the Tap to Click menu item to remove the checkmark in front of that item. On the Device Settings tab, click the Settings button. 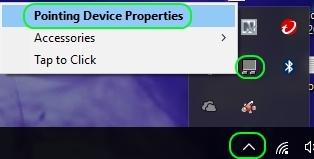 Remove the checkmark in front of Pinch Zoom, click the OK button, and then click the OK button in the Mouse Properties window. This random zoom behavior has plagued the laptop for some time, but only became beyond bearable when the randomly activating feature affected the desktop icons in Windows 10. If your desktop icons are super-sized as shown below (icons are shown at actual size) due to random zoom-in/zoom-out messages from your touchpad, there is a simple quick-fix (after shutting off this feature using the instructions above). Right-click an open area of the desktop, select View and then Medium icons. Microsoft released the first cumulative update KB3081424 for Windows 10 64 bit computers within the last hour – that update is being rolled out and installed automatically on all Windows 10 64 bit computers (Windows 10 computers that are joined to a domain may or may not automatically install this update). After the update installed, I told the computer to go ahead and reboot. After rebooting the computer, the Windows Start menu would not appear, Cortana would not respond, and the Action Center would not display. I saw this same behavior when testing the automatic updates in the various Technical Preview versions – in those cases I had to format the hard drive and reinstall Windows to recover. Fortunately, in this case the functionality was restored by simply rebooting the computer (if this problem happens to you, there is no obvious way to tell Windows to reboot – just hold down Ctrl, then Alt, and press the Delete key once – a power option should appear near the bottom right of the screen to permit you to restart the computer). This Start menu, Cortana, and Action Center functionality loss, if permanent and widespread, could cause a bit of havoc. Note that I am still fighting the Intel and AMD video card driver issues (Intel driver will not install, AMD driver installs with a blue screen). I might have found a solution for the computer waking up unexpectedly in the middle of the night, but I will wait to post what I found until I confirm that the fix works. Fixing the issue where the Intel HD Graphics 4000 device is listed as “Microsoft Basic Display Adapter” in Device Manager and Windows returns an error when installing the correct driver through Windows Update and Device Manager is a bit of a hassle. The actual error message is not displayed when the driver fails to install. If you experience this problem, immediately navigate to the C:\Windows\SoftwareDistribution\Download\Install folder, and locate a file that ends with .inf. Right-click that file and select Install. If Windows returns an error “There is no driver selected for the device information set or element.” that likely means that the company that set up the driver’s .inf file made an error in the file. The short-term solution for this problem is to download the Windows 7, 8, and 8.1 graphics driver package from the Intel website. After a bit of searching, I found a suitable driver for the Intel HD Graphics 4000 device here. After the installer completed, the computer had to restart – Device Manager then showed the HD Graphics 4000 device in place of the “Microsoft Basic Display Adapter” in Device Manager. 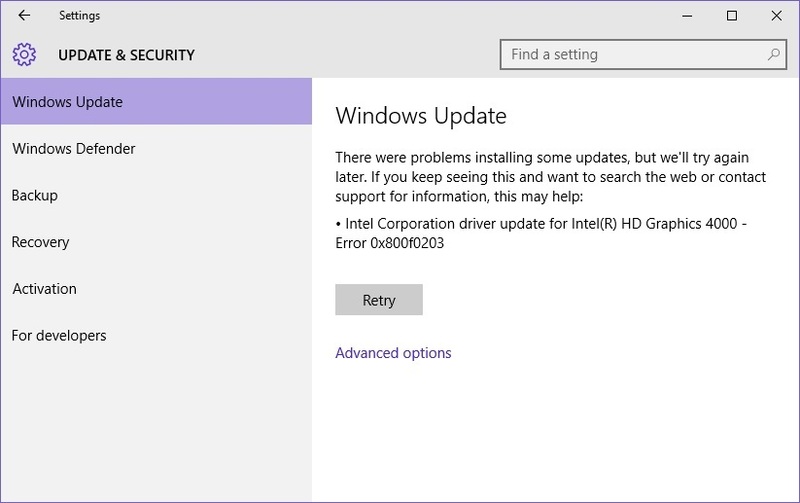 After the driver installation Windows Update still shows that the Windows 10 driver for the Intel graphics device fails to install, so there is still an issue that Microsoft/Intel need to rectify with the driver update. 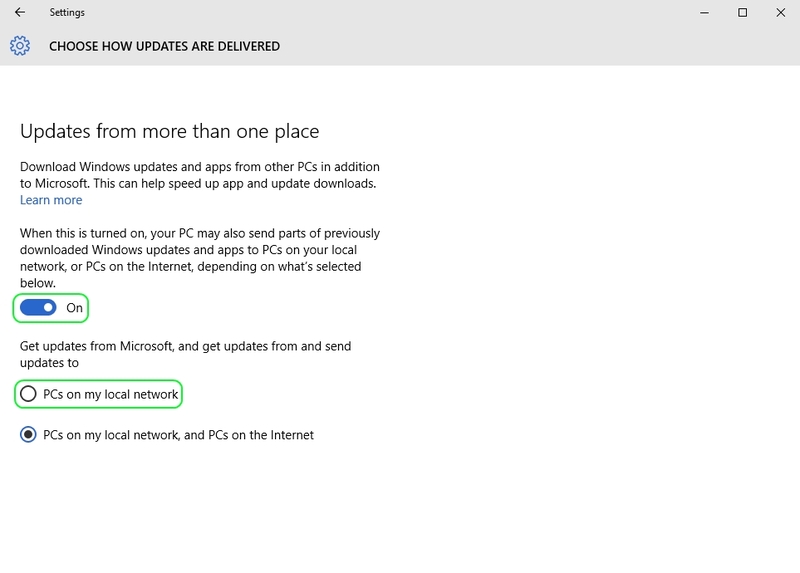 Peer-to-peer Windows Updates – potentially OK if the computer is connected to a trusted network, and the default Windows Update settings are adjusted; potentially dangerous at the default setting. The default settings for Windows Updates essentially make your computer part of a world-wide Windows Update torrent. If your computer is connected to a pay-as-you-go Internet provider, or if your Internet provider charges substantial fees for exceeding a certain monthly data cap (6GB per month, for instance), you should definitely modify the default update settings. 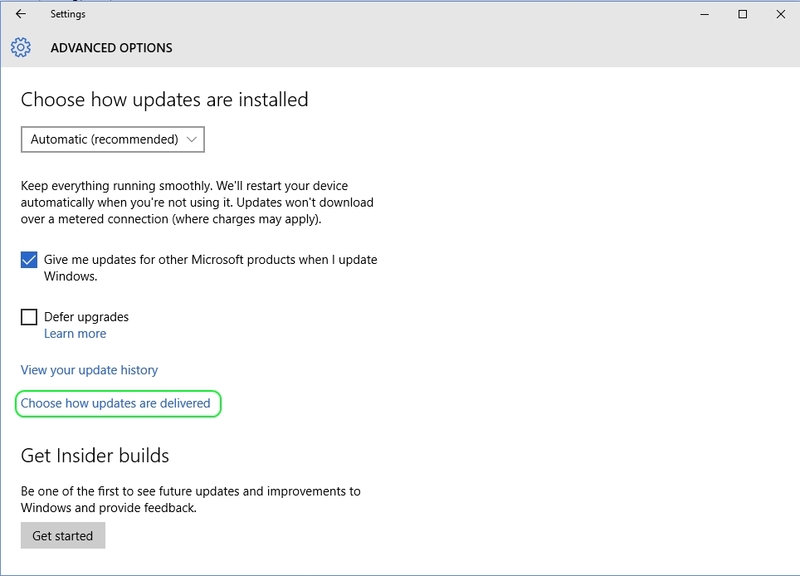 If you are concerned about your computer retrieving and automatically installing Windows updates from computers that have no association with Microsoft, other than the computers are running Windows 10, you should definitely modify the default update settings. I was made aware of this particular issue when discussing Windows 10 with a relative who is an IT expert. I also read a couple of articles today that described the torrent-like behavior of Windows 10 updates. 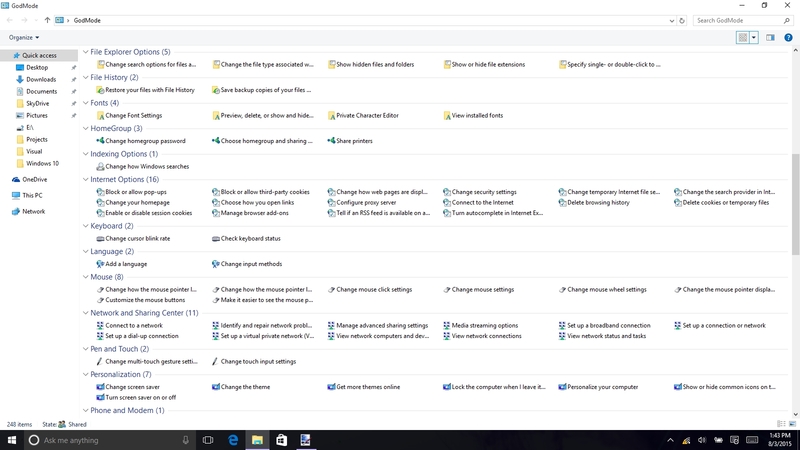 To fix the default setting, select Settings from the Start menu, then click Update & security. Click Advanced options, then click Choose how updates are delivered. If your computer is always connected to a trusted network (never taken to a coffee shop, hotel, LAN party, etc. ), consider changing the default setting to PCs on my local network – this setting could be beneficial if you have a pay-as-you-go or monthly capped Internet connection. If you ever connect the computer to an untrusted network, consider changing the default On setting to Off. 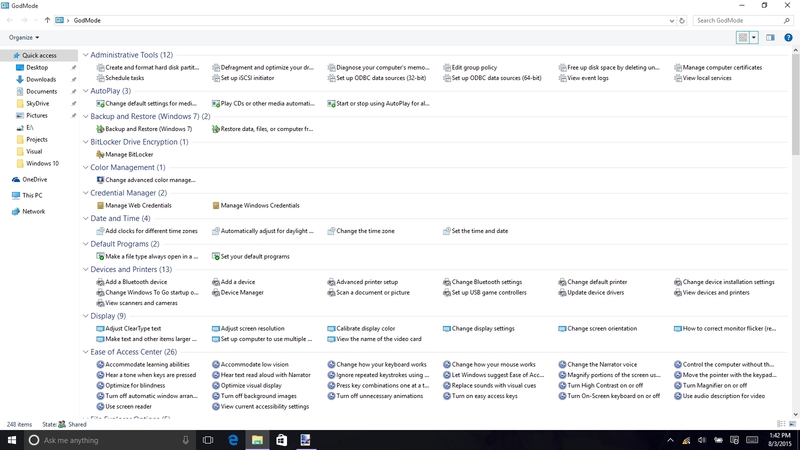 On August 5, 2015 I stated, ” I might have found a solution for the computer waking up unexpectedly in the middle of the night, but I will wait to post what I found until I confirm that the fix works.” The fix that I implemented seems to have corrected this problem that has plagued the laptop for quite some time (possibly since new, nearly three years ago). 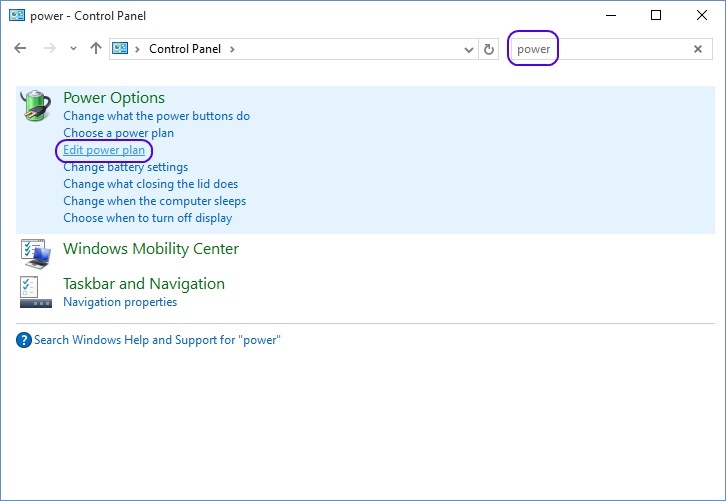 If your computer wakes up unexpectedly in the middle of the night, and you would like to end that behavior, click the Windows 10 Start Menu, then click Control Panel. In the search box at the right type power and then click Edit power plan at the left. 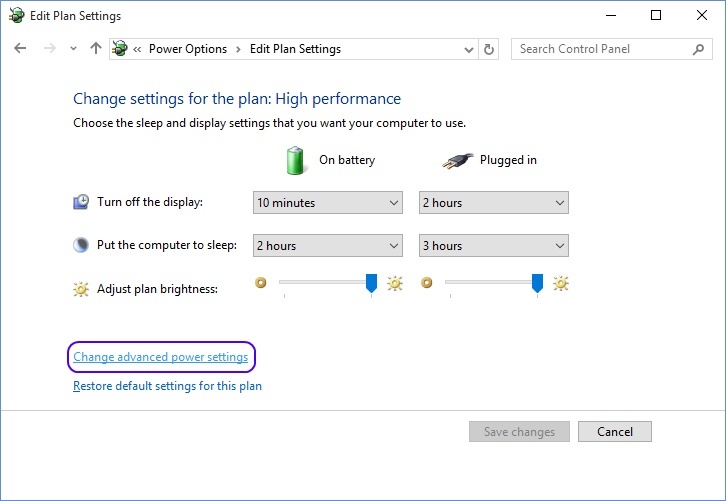 In blue lettering near the top of the window you should see the words “Change settings for the plan: ” followed by the selected power plan name (High performance in the picture below) – make note of the selected power plan name. 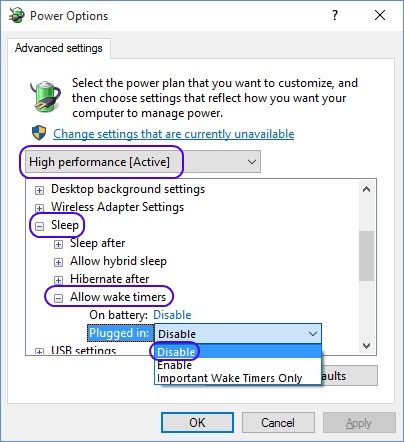 Click Change advanced power settings. Check to make certain that the same power plan appears selected in the list – if not, select the power plan that appeared in the previous window. Click the + next to Sleep, then the + next to Allow wake timers. Change both the On battery and Plugged in settings to Disable. Finally, click OK to save the changed settings. Note: it may be necessary to click the Change settings that are currently disabled link prior to making these changes. I have now upgraded a computer from Windows 8.1 Pro (Ultimate?) to Windows 10 Pro (Sony laptop), another from Windows 8.1 Home to Windows 10 Home, another from Windows 7 Ultimate to Windows 10 Pro, and a fourth (and fifth) from Windows 7 Home to Windows 10 Home. 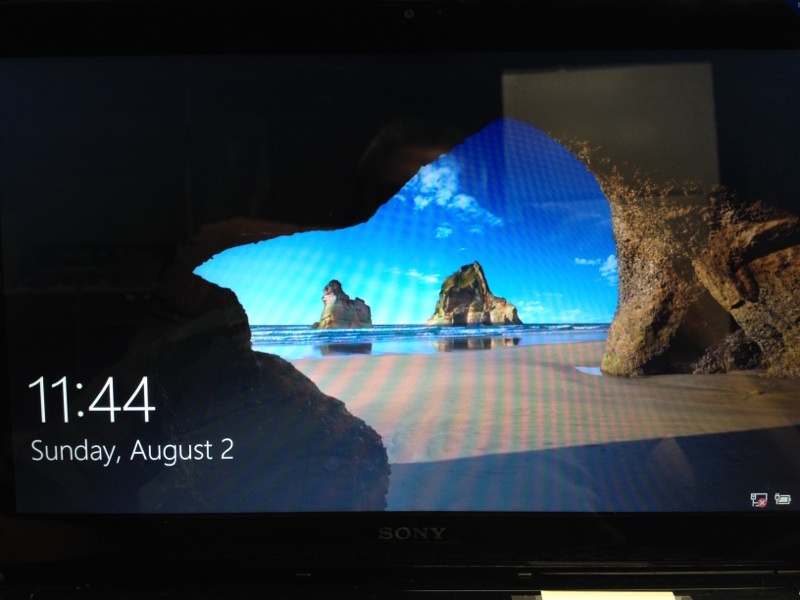 The Sony laptop has at least twice had a panic attack a couple of minutes after coming out of sleep. During the panic attack the fan ramps up to maximum speed, the touch pad and keyboard stop responding, and the power button must be held in for 10 second to shut the computer off (the laptop does not go to sleep with a quick press of the power button). The Sony computer has also crashed a couple of times with an irql_not_less_or_equal blue screen at least once in the last week. The computer that was upgraded from Windows 7 Pro to Windows 10 Pro has spontaneously rebooted three times (twice within 30 minutes) while building Windows large icon thumbnails for a number of Apple Quicktime .mov video files. The computer is connected to a true sign wave UPS, so I know that the reboot is not caused by a power problem (I was next to the computer each time the reboot happened, no blue screen, no notification entries in the Windows event logs except that the previous shut down was unexpected). One of the computers upgraded from Windows 7 Home to Windows 10 Home is a Dell laptop where the G and H keys did not work correctly before or after the upgrade (some people have reported that this is a known intermittent problem with this particular Dell laptop model) – BIOS upgrades for the laptop refused to install following the upgrade to Windows 10 Home. I do not yet have a status update from the other two upgraded computers. Charles, I have always enjoyed your blog posts and find them interesting and engaging. You have succeeded in scaring me sufficiently into resisting an upgrade to Windows 10 at all costs! Like yourself, I have been working in IT for a long time, 1980 was my first position from leaving university. I am not a stranger to software and the trials of upgrading to new releases. What comes to my mind is, if we as specialists and a wealth of knowledge and experience can suffer so much pain in upgrading, what chance has Joe public once the migration enters problems and things turn nasty? It seems to me the pain of upgrading also follows Moores law! Tony, I had similar thoughts about how the average computer user would be expected to work though the issues that I faced with the Sony laptop that used an AMD graphics card (for performance) with a fall back option to the Intel 4000 GPU (I think that this is embedded in the Core i7 CPU). Last week a 90+ year old person that I have helped with computers for the last 15 years sent me an email stating that he had reserved his copy of Windows 10, but that the pictures of Windows 10 looked confusing (he is currently using Windows 7). I let him know that it is fine that he reserved a copy of Windows 10, that Windows 10 will probably be confusing, and that just because he reserved a copy does not mean that he must install it on his computer. You have a year to decide if you want the “free” upgrade to Windows 10. Microsoft seems to have done a great job with their fall back option to the previous operating system. That said, if you have an AMD graphics card, I suggest that you wait several months until AMD has had a chance to fix this problem. Also, I recommend checking the computer manufacturer’s website for Windows 10 specific drivers and verifying that DEP was not previously disabled in the BIOS. With all the respect, until Windows 10 (and still think this is the same now) if you however succeed to upgrade windows, this one runs so slow and so so “strange” that after some time all of us has decided to make clean installation and delete upgrade. Sorry to say … but Windows upgrade is and probably will be a bed time story for many kids. Damir, I agree that a clean install of Windows 10 (to a new hard drive or SSD, so that you may selectively return to the old operating system) is the best option for people with more than casual experience with a computer. That said, to take advantage of Microsoft’s free Windows 10 upgrade, one successful upgrade of the operating system must be performed on the computer. The upgrade process converts the Windows 7 or Windows 8 license key that came with an OEM install of Windows so that it will be recognized by Microsoft as a valid license key for Windows 10. Once an upgrade has been performed, it should then be possible to perform a clean installation of Windows 10. Boneist, thank you for sharing a Windows 10 upgrade success story. I recently bought my father a Dell 5758 (Core i7, touch screen) laptop. He is struggling a bit with the differences between Windows 7 that he had on his old laptop and Windows 8.1, so I had thought about upgrading his laptop to Windows 10 because it brings back some of the Windows 7 characteristics. After this last weekend’s activities, I decided to wait a couple of months before upgrading his new computer. I had read that some Dell and HP laptops also had upgrade issues due to the AMD drivers installation not working correctly; my father’s new laptop is using the integrated Intel HD Graphics 5500, so I suspect that the upgrade would complete without too many issues. The early pre-release versions of Windows 10 still had the Internet Explorer 11 icon on the task bar, along with the still unnamed Edge web browser. Once Edge was named and a similar looking icon was selected for Edge as is used for Internet Explorer, the Internet Explorer icon was removed from the task bar to minimize confusion. Edge supports multiple tabs (press Ctrl T to open a new tab, or click the + in the window title bar. One of the problems with Edge is that the typical window title bar area is used for the tab names. If you move the Edge window half way off the right edge of the screen, and then right-click links (or middle-click if you have a three button mouse – third button may be embedded in a scroll wheel) to open in a new tab, it is quite possible that you will not be able to move the Edge window back fully on screen (unless of course you know the old Alt – Spacebar trick to show the hidden Move menu option). It is possible to set a home page (such as Google) in Edge, but the steps are not immediately obvious (I tried previously and did not succeed). Click the three dots at the top-right of the Edge window and select Settings from the menu. Under the “Open with” heading, select “A specific page or pages”, and then select Custom from the drop-down list. There will be a default custom web page listed, click the X that is to the right of that default web page to delete it. In the “Enter a web address” box type a website such as http://www.google.com Now the important part, press the Enter key – if you do not do that, Edge will not save your selected home page. I also like Internet Explorer over the alternative web browsers. If you want an easy way to access Internet Explorer, there is a solution for that – just create a shortcut to iexplore.exe and pin it to the task bar. Use Windows Explorer (the folder icon at the bottom of the screen on the task bar – looks like this is now called File Explorer) to navigate to the Internet Explorer folder. On 64 bit Windows computers you should use the 32 bit version of Internet Explorer for the greatest compatibility. At the left, click “This PC”, then double-click Local Disk (C:). Double-click the “Program Files (x86)” folder (if you do not see that folder, your computer is running the 32 bit version of Windows – double-click the Program Files folder instead). Double-click the Internet Explorer folder. Left-click and then right-click iexplore.exe (note that the .exe portion of the filename may not show). Select Create Shortcut from the menu. You should receive a warning that the shortcut could not be created here, asking permission to create the shortcut on the Desktop – answer Yes. Locate the Internet Explorer shortcut on the desktop, right-click that shortcut, and select Rename. Change the name to Internet Explorer 11 then press the Enter key. Right-click the shortcut and select Pin to Taskbar. You now have easy access to Internet Explorer 11. Note that the last of the above article has a comment about 50 Windows 7/8/8.1 domain joined computers saturating a company’s Internet connection, with each computer downloading Windows 10, even though the “Get Windows 10” icon never appeared (and thus was never clicked). From what I have seen, if a Windows SUS (Windows Server Update Services) or similar setup is in the domain (and properly configured) to distribute updates, the domain joined computers will NOT try to automatically download the roughly 3.5GB Windows 10 installer files.